Cat's Eye Carving » Blog Archive » What’s the question? 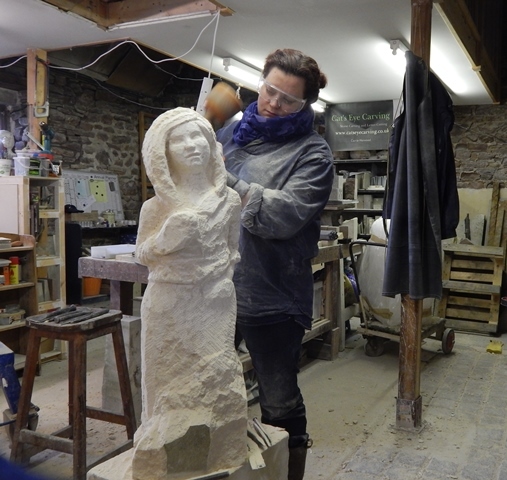 A new sculpture in Tetbury limestone. What’s the question? 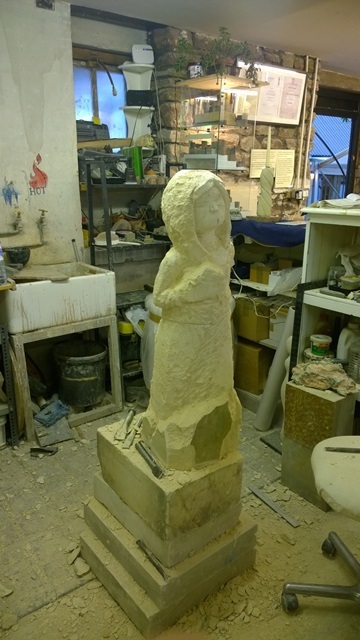 A new sculpture in Tetbury limestone. 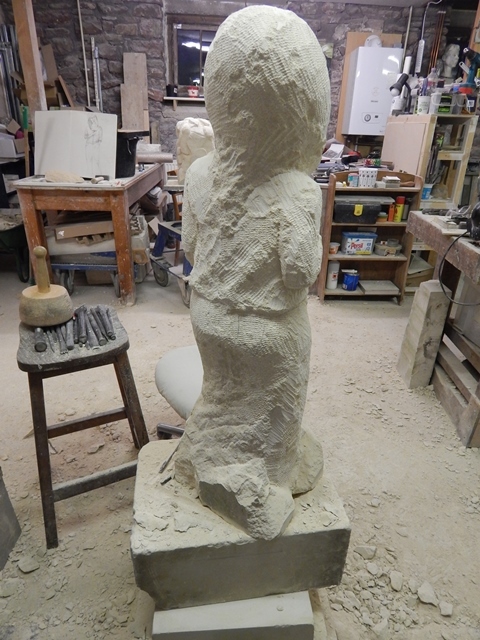 Have been fired up by my disappointment at a recent visit to a sculpture exhibition I have started a new sculpture which I want to engage and excite the viewer. 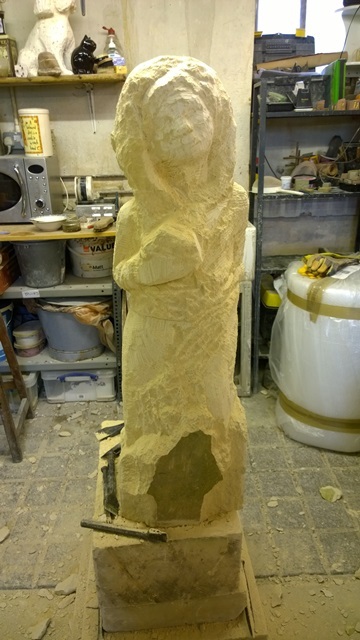 My first aim was to design a carving that is now, not a Greek inspired Roman goddess or a Barbara Hepworth/Henry Moore rip off. 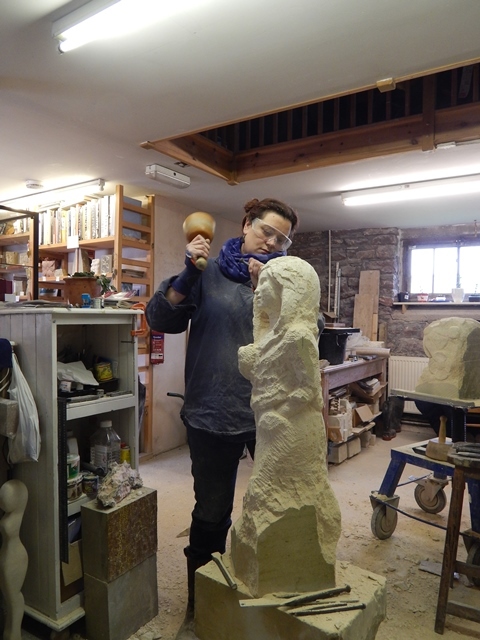 Secondly to engage and provoke without shock-why does sculpture have to shock? 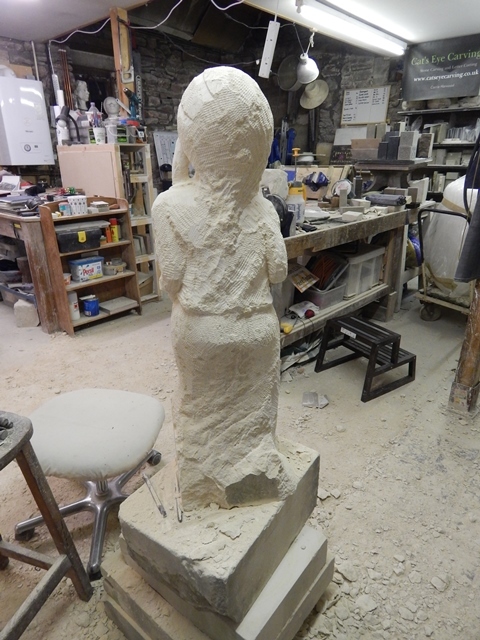 and finally a clothed figure-it’s actually harder to carve a fully clothed figure as I have to make you think that there is a body underneath. I am tired of seeing the same old sculptures and I hope that my new sculpture will make you look and wonder what she is saying? What is the question? My design is a young modern woman wearing boot cut jeans and DM boots. 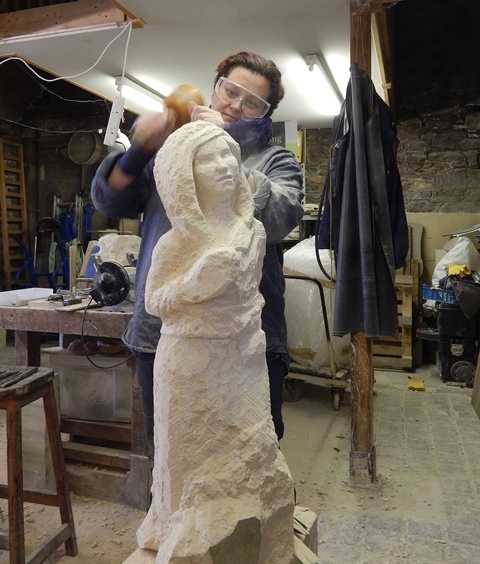 Her hair is a plait over one shoulder and she is gesturing with one hand up and the other hand is in her pocket. Her weight is on one hip giving tension and movement and an interesting twist to her body, any minute now she is going to shift her weight to the other foot and continue her conversation. She is engaged with you-the viewer and what you are talking about is up to you! Obviously there is a lot of work to do still this represents about a weeks hard work! 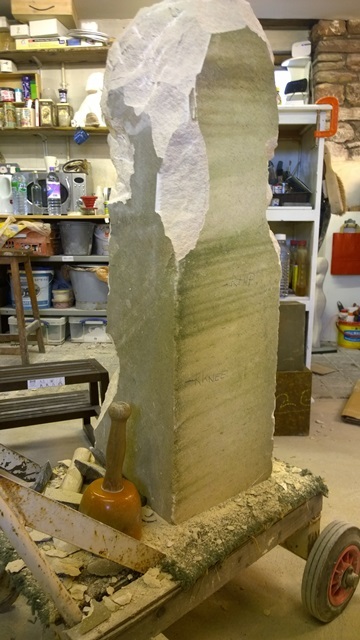 I am carving limestone from Veizeys Quarry in Tetbury and it is 3ft x 11 x 11 inches. So about half life size. 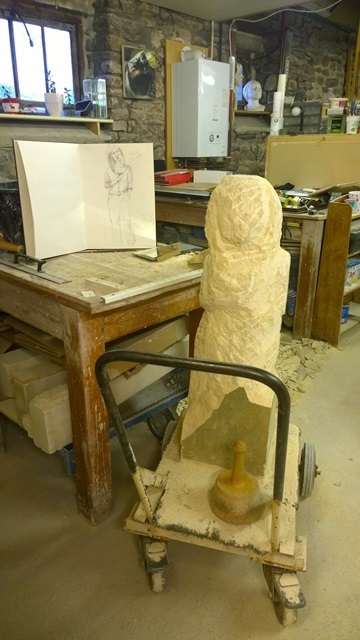 The design is from my imagination and I did the drawing after I started my carving to cement the idea and give myself and the viewer an idea of what I am trying to achieve! well the latest is definitely a new direction for you. I think the girl in image 5 has a look of Annie about her. Good luck!